What kind of website or blog can be created? Most of us would love to have our own website/blog for things which we really love to do like photography, education, social media, finance, games, movie gossips, politics, software programming or any other niche you are interested in. Though we are interested, you might not be aware of how to create one. More than that you might not be ready to spend your money without knowing what to do. So here is my solution for you all. This post explains how to create your own website with your own domain name for free. Yeah! you read it right. Its completely free. How is this different from many other ‘free website’ claims? To answer this, first let me tell you that creating a website comprises of two things – a domain name you like and web space to host your site. Domain name: (Eg: www.logicalfeed.com or any other you like) Normally, for free plans you would see that you will be given a subdomain, but not actual domains. i.e., they would give you www.YourDomainName.16mb.com or something similar to this. This does not look as good as www.YourDomainName.com. But in my solution you can get a domain name you like for free. Web space to host a site: There will many hosting plans in the market. Each will have their own supported technologies. Here in this solution, you could get MySQL databases, PHP support, one click installl of many CMSs like WordPress, EMail account, and lot more. Everything for free. It starts here with registration to hostinger hosting service. Click here to go to hostinger hosting service and register for free hosting by clicking on ‘Order Now’ as shown n the below picture. Then click on ‘click here’ link as shown in the screenshot. Scroll down, fill the form (form says ‘Register your name and get your .xyz domain for FREE!’) and submit. Then check your email to confirm your registration. Go to this path Home>Domains>Register to get your domain name. 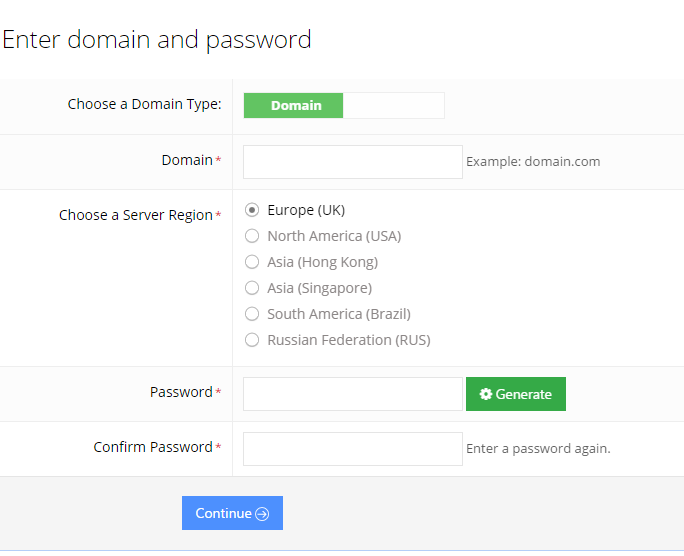 Here give the domain you would like and select the domain extension as .xyz (only.xyz is free. You just need to pay ICANN fee which is just 11 Rupees/year). If you like to use other domain extensions, you may need to pay as mentioned there. Go to this path ‘Home>Hosting>New Account’ to get the list of hosting plans. Select the free plan and click order. If the domain you have ordered is registered then you can select the domain name option and provide your domain name in the field below. Then provide your password. If the your domain registration is still in progress, then select Subdomain, give some name as shown below and continue. Then provide the description of the hosting account and click on order. That’s it. Next navigate to Hosting>All accounts. You could see the hosting plan what you have ordered. Once the status of this domain is active, you can continue with the next set of steps. Navigate to Hosting menu, under that select the hosting plan what you have just created i.e., ‘mytest.esy.es’. Then all the options for this hosting plan will be listed. Go to the section ‘Website’ and select Auto installer. Then search for ‘WordPress’ and click on it to install. Provide necessary details and install wordpress. Note: Make a note of administrator username and password as you need these to customize your website through wordpress admin page. Now you can visit your website using the registered URL http:// mytest.esy.es (if you have used your domain name instead of subdomain then use it). Go to yoursitename.xyz/login (or yoursubdomain.esy.es/login). You will be asked for credentials. Use the administrator user name and password which you gave while installing wordpress. Once you are logged in to the wordpress then you are into the world of WordPress. For everything in wordpress you have hundreds of tutorials and forums which can help you. I hope you found this useful. If so, please do share!